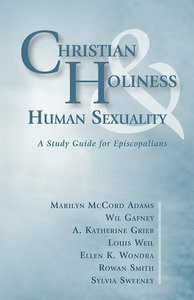 Christian Holiness & Human Sexuality is a study guide for Episcopalians who want to understand how all Christian people can exercise their baptismal vocation in the fullness of their sexual identity. This short booklet attempts to frame the discussion in a way different from how it has been addressed in many of the debates in our church and culture: How can we as Christians combine sexual expression with Christian holiness? Looked at afresh, what guidance do the Christian biblical, historical, theological, ethical, and liturgical traditions give us in answer to this question? About "Christian Holiness & Human Sexuality"